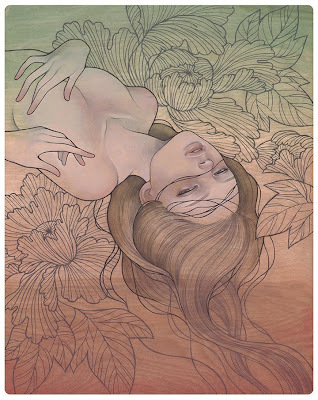 VINYL ON VINYL: Audrey Kawasaki Print Audrey Kawasaki Print- Now Available! Audrey Kawasaki Print Audrey Kawasaki Print- Now Available! After the long anticipation, Audrey Kawasaki's Migawari print has finally arrived! It is a 15"x19" piece that has been printed on a 16"x20" smooth cotton rag sheet of paper. It is an edition of 200. All elegantly signed and numbered.